We all get it – that restless feeling letting you know that it’s time for another adventure. The feeling that says it’s time to pack your bags, hop in your car and start driving. Now, of course if most people had their way, your trips would take you far and wide, and you’ll enjoy some much-needed time off from the hustle and bustle of city life. However, long getaways aren’t always possible. But that doesn’t mean you can’t make the most out of a weekend trip. So, we’ve taken a look at the top weekend trips up the Eastern Cape, Wild Coast that will break the routine for a while and bring back that dash of adventure so you can tackle Monday refreshed, re-energised and with an extra spring in your step. 1. A Trip to Coffee Bay, Eastern Cape. 2. In the treetops of Tsitsikamma, Eastern Cape. If you’re not convinced that we live in one of the most beautiful countries in the world – Tsitsikamma might very well be the place that settles any doubt. 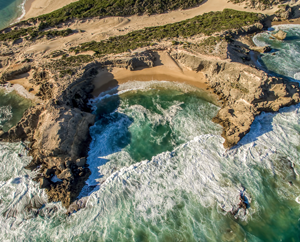 Approximately two hours from Port Elizabeth, this trip will take you through valleys, beaches, gorges and exquisitely diverse landscapes and scenes. The thrill seekers can stop at Bloukrans Bridge Bungy Jump which is the highest Bungy in the world. Alternatively, you can enjoy the beautiful canopy tours through the treetops of Stormsriver. 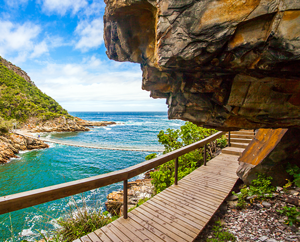 The hikers can explore the Tsitsikamma game reserve and those who simply want to take it easy can opt for a relaxing coffee at a beach restaurant or a pizza in the village. Perfect for those wanting to escape from the city. Kenton-on-sea is conveniently situated between East-London and Port Elizabeth. Why Kenton? Well, this little town situated on the sunshine coast is still slightly ‘under-the-radar’ when it comes to small coastal towns. It offers the perfect getaway for those wanting to relax while reading a good book as the sun sets into the sea, walk along the stretch of beach or enjoy a delicious meal at Kenton’s longest-standing traditional eatery. Make awesome memories at Homewoods à la Carte and Pizzeria, with the waves crashing behind you. 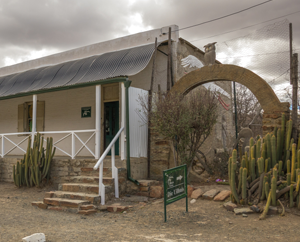 If you are looking for more of a little Karoo village feel, then this is the perfect trip. Nieu Bethesda might be a ‘blink and you’ll miss it town,’ but it’s rich in history and has become renowned for being inhabited by outsider artists, travellers and those following their wanderlust. The top tourist attraction in this small town is the Owl House – a weird and wonderful creation of concrete figurines and light reflecting glass. 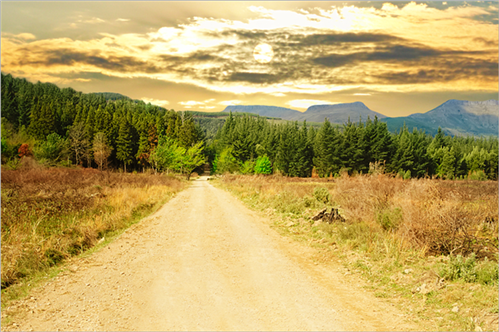 Hogsback is a one-of-a-kind small town in the Amathole mountains. On your way to Hogsback coming from Grahamstown direction, you slowly drive higher and higher into the mountains, arriving in a village that is truly made for those who are seeking to go off-grid for a while. The Amatola forest area in Hogsback is often also claimed to be the origin and inspiration behind Tolkien’s Lord of the Rings. 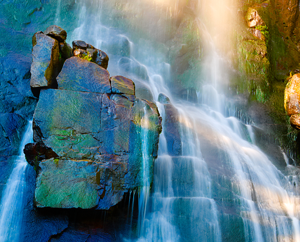 Whether fact or fiction, after setting foot in Hogsback, you’re sure to feel something mystical in the air. From small coffee shops and pubs, all unique and filled with atmosphere, to hikes through valleys, mountains and waterfalls. Hogsback should be on every traveller’s bucket list. Make sure there aren’t any bumps in the road – and if there are, let’s ensure that you’re prepared. For more, take a look at our blog post on the Top Ten Car Essentials You Need on the Road. 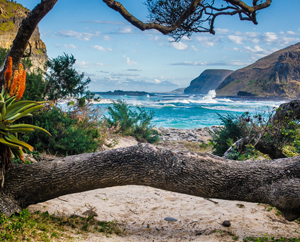 If you have any question or would like us to recommend some more secret getaway spots – be sure to visit your Nissan Eastern Cape branch – we’d love to help.